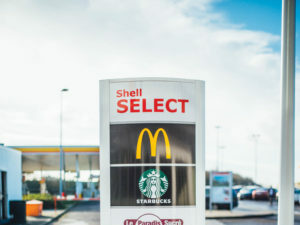 In the second part of our series of exclusive surveys, Shell and Fleet World questioned 266 fleet executives to find out how they interact and monitor their drivers. Covering car, van and HGV operators, the results reflect some surprising attitudes to the issues facing fleet management. 38% of fleet managers said they felt the industry under-estimates road safety risks. With drivers often on the road for long hours at a time, a key part of fleet management is ensuring their safety. Yet over a third of fleet managers (38%) said they feel the industry under-appreciates the road safety risks their drivers face. Drivers need to feel confident that they are supported on the road and that their fleet manager is aware of and addressing issues that could pose a risk to their safety, while customers need to have confidence that their delivery will be made as safely and efficiently as possible. Driving safety (including issues such as mandatory use of seatbelts and a ban on the use of mobile phones behind the wheel) was rated as the biggest issue by 29% of respondents. Poor road and weather conditions were also among the top factors fleet managers need to consider when managing their drivers’ safety, particularly among those operating cars; 69% of whom rated it as a main concern. Driving in poor weather is perhaps the hardest to manage because weather is hard to predict – events such as snow, fog and heavy rain can occur without warning and impact seriously on driving conditions – reduced road grip and reduced visibility add up to an increased risk of an accident or vehicle failure. And driving at night is another area that fleet managers must be alert to – 40% of all collisions happen in the hours of darkness, according to research by RoSPA. Driver fatigue is a major issue for fleets; a contributory factor in up to a fifth of all road traffic accidents according to research from the Department for Transport’s Think! campaign. Not only are these incidents more likely to be fatal, but it’s also a shared hazard, potentially affecting other road users too. Unsurprisingly, respondents were very concerned about monitoring working hours. Asked to rank concerns from 1-9, half of those surveyed placed this at seven or higher. That’s weighted towards HGV operators, 71% of whom ranked it this way, while car and LCV fleets were fairly equal at just under 50% each. In all groups, driver fatigue was ranked highly, similar to working hours. Likewise, larger fleets tended to be more concerned about both factors. Planning is a key weapon in the fleet manager’s arsenal in this respect – creating journey plans that include regular scheduled breaks for rest, as well as having a policy in place ensuring employees are medically fit to drive. 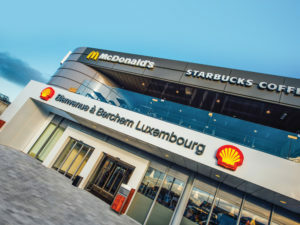 It’s an aspect addressed by Shell’s latest sites, such as the Berchem service station in Belgium, which has been designed to provide efficient, queue-free refuelling and AdBlue top-ups for drivers, and discounts on refreshments. Shell also offers Fatigue Awareness information for fleets, aimed at helping factor this into drivers’ working lives. But it’s not just being behind the wheel that causes employees issues; stress is another important consideration for companies requiring staff to be on the road and/or away from home regularly. In total, more than 32% of respondents to the survey cited employees’ mental health as having an impact on drivers’ road safety – the vast majority (66%) being those who run car fleets. But nearly half of fleet managers questioned said their business never provides training to employees regarding their mental health. In fact, just 10% offer such training. Added out-of-hours demands on employees are indicative of the changing workplace; 9-5 office-based jobs are giving way to new levels of flexibility thanks to technology such as teleconferencing and applications like Facebook and Skype, which make keeping in touch remotely easier than ever. But there is a danger that the good aspects of remote working could be undone by the damaging mental implications – stress accounts for a third of all work-related ill health, according to the Health and Safety Executive, and contribute to 43% of sick days taken. What this technology does is create pockets of potential stress problems which can go unchecked because the employee is not in face-to-face contact with people. Issues include a lack of social interaction, working longer hours and a blurring of the work-life balance – all issues that can creep on up on someone prone to issues like stress. Fleet managers’ roles are expanding and becoming increasingly complex. New technologies, legislations and customer demands have shaped both the industry and the fleet manager’s role. The role has developed to become more strategic, gradually evolving into ‘Mobility Managers’ responsible for end-to-end travel and transport arrangements. This is placing considerable pressure on the time (33%) they have available to conduct training and get their drivers engaged with it. A third said they find insufficient interest from drivers a key barrier to implementing driver training and 26% cited insufficient senior management support. Budget (11%) and difficulty in accessing experts to deliver the training (3%) were other key issues. Even so, 60% said they provide regular training to drivers, and only 13% said they don’t offer any at all. With more than a quarter of all road traffic accidents involving someone who is driving for work, according to Health and Safety Executive data, the need for driver training among business drivers is paramount. Fleets that had undertaken driver training said they found it was one of the most effective ways to retain employees. The vast majority of fleets questioned (67%) said they do not use in-vehicle monitoring systems (IVMS). As a result, they are missing out on potential efficiency, safety and cost savings, which these telematics devices can bring, particularly in terms of identifying areas where driving behaviour could be improved. 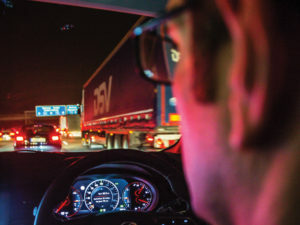 Of the 28% who do use in-vehicle monitoring systems, the vast majority (84%) reported an improvement in driver behaviour, and around half of those said they had seen a significant improvement since using the technology. It appears driver concerns remain the key issue when it comes to installing IVMS – cited as an issue by more than half of those who have implemented it. That’s a significantly higher percentage than cost, time, or lack of management buy-in. 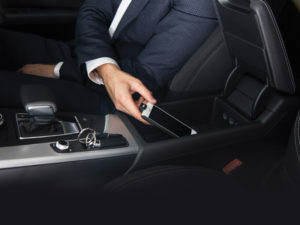 Drivers can be naturally suspicious, seeing the devices as ‘a spy in the cab’, so working with a mobility solutions provider who can help to reassure them, address their concerns and highlight the benefits these systems can provide for them is key. A company should be clear to its staff on the expectations and uses of the systems and how they fit within its overall road safety programme. It is recommended to involve drivers from the outset, so they do not see this as ‘big brother’ but rather as a support tool that helps them enhance their driving skills, recognises good performance and rewards it accordingly. The rewards are huge; those fleets who implemented IVMS and who cited driver resistance as a key issue reported a significant improvement in driver behaviour (54%) while a third (32%) saw a mild improvement. 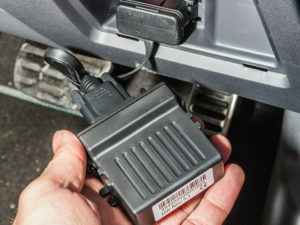 In general terms, vehicle monitoring has been proved to be very effective in building safer and more economical fleets. The devices have been shown to result in a 60% reduction in incidences of speeding, a 29-100% reduction in high potential, catastrophic, major or serious accident rates, and also identifies poor driver behaviour such as sudden braking and harsh acceleration.